Castle’s Celtic Christmas Celebration is a Northwest Holiday Tradition. 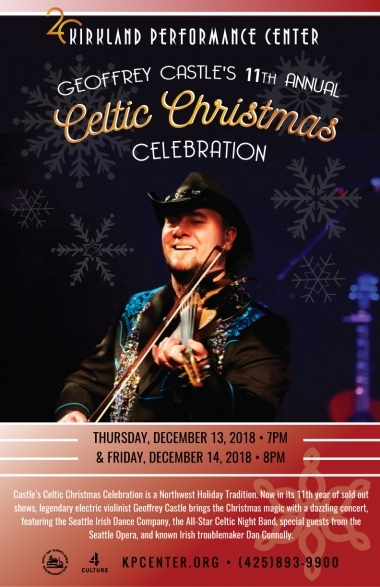 Now in its 11th year of sold out shows, legendary electric violinist Geoffrey Castle brings the Christmas magic with a dazzling concert, featuring the Seattle Irish Dance Company, the All-Star Celtic Night Band, special guests from the Seattle Opera, and known Irish troublemaker Dan Connolly. With music drawn from his two critically acclaimed holiday releases, and a “jaw dropping” live show, Castle’s Celtic Christmas Celebration is not to be missed. In past years, the concerts have also featured surprise special guest appearances by Rock and Roll Hall of Fame members Alan White, Roger Fisher, Mike Derosier, Steve Fossen, and more. 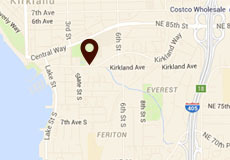 Ticket prices are inclusive of all fees and taxes. Electric six-string Violinist Geoffrey Castle fearlessly brings the violin back to center stage with virtuoso showmanship and a 21st century attitude.